The H4A MK2 was in many ways the very corner stone of the Hegel amplifier range, but the development of the H20 amplifiers disclosed a significant potential for upgrade. The H4SE has received many of the technologies developed for the H20, including the Hegel Next-Gen technology in the input stages. This gives it a smoother, yet at the same time more rhythmic sound compared to its predecessors. Each channel of the H4SE is divided into completely separate voltage gain and current gain stages. The benefit with this design is a higher dynamic range, better pin-pointing of instruments and a wider sound field. The reduction of dynamic distortion all over the audible frequency range together with complete elimination of "transistor sound" makes the H4SE sound smooth and transparent without losing any details. Behind it's confident front panel, the H4SE has extreme power reserves and is capable of powering all known speaker systems. 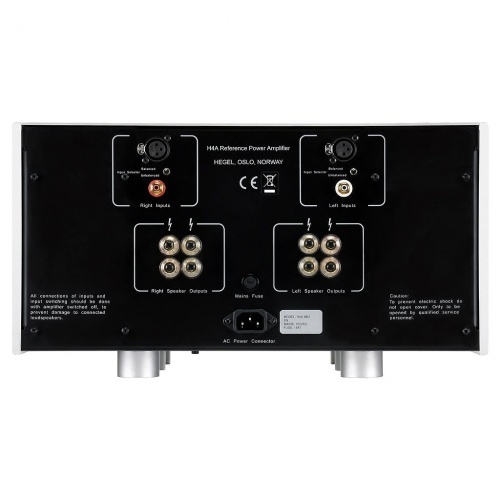 The H4SE can deliver a current output signal of more than 200A. The H4SE is a dual-mono construction, using Hegel's patented technology in the amplification stages. The H4SE output stages has integrated audio stages and power supplies to be able to deliver an exceptional large dynamic range. 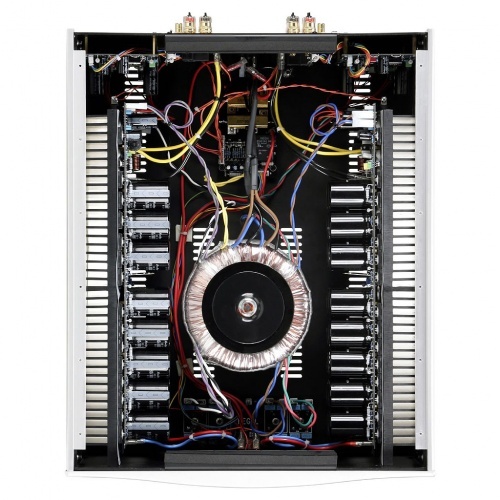 The H4SE uses the laser trimmed Hegel SoundEngine amplifier modules in the audio circuits. The power amplifier is very dynamic and will drive the speakers with a deep powerful bass and a very high resolution smooth midrange with a detailed soundstage. The H4SE can be connected to both balanced and unbalanced pre amplifiers, and can be used with both XLR and RCA connectors. The speaker outputs has got two pairs of heavy duty high quality gold plated terminals for both channels. Is the Hegel H4SE available in different colors? The H4SE is available in the standard "Pearl silver" colour. The finish is made by blasting he solid Aluminium panels with tiny glass particles and anodizing the surface. 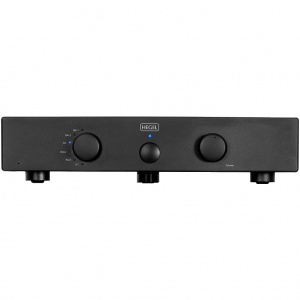 Can the Hegel H4SE be used with other Pre Amplifiers than the Hegel P20 or P30? 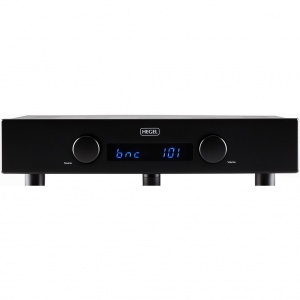 All the different Hegel units has got a neutral sound signature, so that they can be used together with other high quality audio units from different manufacturers. However we recommend you to listen to a combination of a H4SE and one of the Hegel pre amplifiers for the best possible performance. Is the Hegel H4SE true balanced? 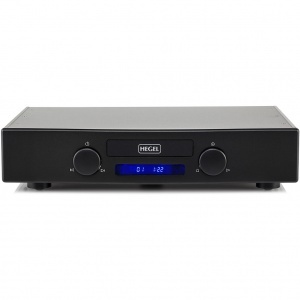 The balanced inputs of the H4SE are as all the other Hegel units using true electronically balanced inputs. Is the patented SoundEngine amplifier technology used in the Hegel H4SE? The H4SE uses the patented Hegel SoundEngine technology. The SoundEngine modules are laser trimmed to an extremely low distortion. What is the difference between the H4SE and the H20? The output stage and main power supply in the H4SE is four times more powerful than the one in the H20. This gives the H4SE higher resolution and a much larger dynamic range than the H20. What is the power consumption of the Hegel H4SE? Because of the SoundEngine technology used in the H4SE, there is no need to run a high bias current in the output stage of the amplifier. 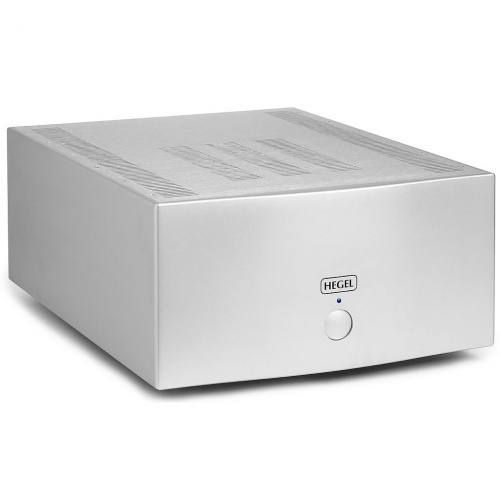 The H4SE will as all the other Hegel amplifiers use a minimum of power in standby mode when it is not playing music. The H4SE will use about 100W of power in standby mode.